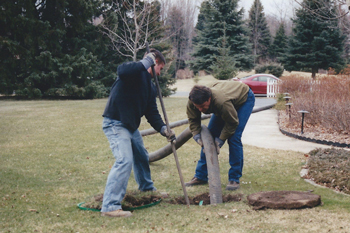 Wisconsin Pump & Sump believes preventive maintenance is the best way to prolong the life of your septic system. We recommend pumping your tank(s) at least every three years, depending on your usage and the designed loading rates for your system. If you believe your usage is beyond the designed loading rate for your system, the tank(s) should be pumped more frequently. We are always willing to help you to determine how frequently pumping or additional maintenance may be necessary for your system. Effluent filters should be cleaned the very least every year, depending on the type of filter and the systems usage. Commercial septic additives aren’t recommended and have shown no ability to extend the life of your system. We strongly recommend not putting the following household products into your system. Let us know if you have any questions regarding preventive maintenance of your system. ©2013 Wisconsin Pump & Sump. All rights reserved.